In sync with our policy of celebrating all major festivals and even minor successes, we celebrated Diwali at our ‘Nice View’ office. Diwali, also known as the Festival of Lights is celebrated in verve by lighting Diyas (earthen clay shells with a lighted wick) to signify the triumph of good over evil. Staying true to the spirit of Celebrilla errr Cybrilla, Diwali Party was a congenial affair. 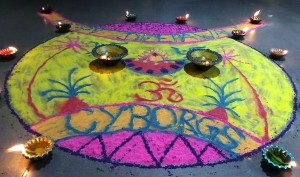 At Cybrilla, we have a vibrant culture that celebrates festivals from across the country. Diwali Party shed light on it through a 100 LED’s as we avoid Diyas and crackers for the love of environment. From adoring the floor with a beautiful Rangoli, the walls and tables with garlands and flowers to dressing in ethnic Indian wear to ordering everything that is otherwise cooked at home(Yes! we took a few shortcuts). All stomachs looked convex after having been stuffed with Gol Gappas and other delicacies. The lack of sound of fireworks was soon replaced by the Cyborgs on dance floor who went all footloose dancing to the top charts. The cherry on the cake was the solo performance of Satish Perala, our CEO, who set the bar high for upcoming dance events. It was amazing to see an otherwise code filled evening progress into an amazing night of Cyborg get together. The Diwali Party was yet another gem we would preserve in our memories. Agile claims to make product development hassle-free. But as the saying goes the chain is only as strong as its weakest link. In the case of Agile one the biggest challenges is to maintain a Product Backlog, track items picked at each sprint and groom the Sprint Back log along with Product Backlog. Since Agile is about experimenting, we @Cybrilla follow SCRUM and explored the following tools for maintaining Product Backlog, tracking features and tracking velocity. 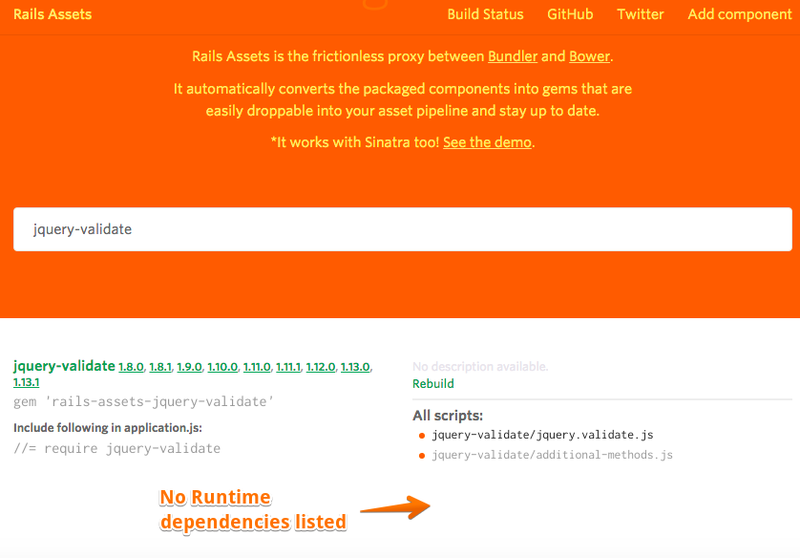 Issue Tracking: Issue can be tracked via basic states but additional custom fields can be added, labels can be added. Velocity Tracking: Basic support for tracking velocity. Third Party Plugins: Has wiki support, documents and files support but it is all internal to the system. Collaboration: Comments and notes can be tagged to users which prompts a email or system notification to the tagged user. Story Fields: Story has basic fields but it does not have points. Issue Tracking: Stories can have a checklist, which can be tweaked as different states of a story. This can also help as definition of done. For months my good friend @satish has been pushing me to give a conf proposal. I am not the type who gives talks. The thought of conference talk just scared me as i have never given one!!. I have finally put up some of our solutions for problems we faced at work as proposals. And my nightmare came true. One of my proposal got selected!!. :(. I was happy and scared at the same time. I have fierce stage fright. At school I have participated in an elocution and froze up in front of around 400 audience. I did not utter a single word and came back silently from the podium. Even during my education in US, whenever I did a presentation none of the students ever understood the content except the professors. I did give my Thesis presentation in front of three professors, but they always understood whatever the heck I am saying because they already know everything. Now coming back to my preparation, I have created the slides. At first iteration they are awful. Full of text. Everything I have to say is already on the slides. I am not adding anything. One can pretty much read and understand everything without me. I did the first rehearsal before my colleagues. I got some valuable feedback. Some of them even can’t understand what I am saying!! Do not think of it as giving a speech, think of it as talking about your idea. People do not want to make mistakes when they give a speech. If you believe in what your saying and say it with passion and enthusiasm they will believe it too. A change in perspective indeed!! A conference talk is not a speech! Following the advise of my colleagues and my friends I have changed my slides. I reduced the text to few key points. Less text, more images, some funny pictures appropriate for the theme of my talk. I have replaced some of the slides with flow charts so that the audience will understand it easily without reading too much. I thought of it as presenting my idea to a group of people who have moderate idea of the theme of my topic but never done it in the way I have presented!! The day before the conference talk, I did the second rehearsal before another group of my colleagues. This time it is way better than the first time. I got more feedback on where I am lacking and noted those parts. Out of time for more practice!! Without the push from my friends, and support and constant reassurance from my colleagues @cybrilla, I would not have been able to do this. Practice & Practice && Practice!! BTW: Proposals for Rubyconf India are open. Just go and propose!! I have already done it. Disclaimer:- The information, views, and opinions contained in this post are those of the author and do not necessarily reflect the views and opinions of Cybrilla. Most of the startups / founders choose to outsource their product development due to shortage of development talent, business domain experts or to skip the hassle of recruiting quality talent and instead start building their product asap and ship it. At Cybrilla, we get the opportunity to chat with many such founders / companies who have gone with the outsourcing model but have had a really bad experience. Most have had a terrible time managing product development, meeting launch dates, managing different development teams, project delays etc. Unfortunately most of them have unrealistic expectations w.r.t budget and time about building their product. If you are one of them, here is a list of things that we recommend to reduce the overall project cost and time. As a founder / product owner, wireframe your products user flow before you speak to a development shop. It’s one of the most important steps when presenting your idea to someone. Most of us have an idea that exists only in our head. Wireframes helps to get that idea out of the head and onto a piece of paper. Once your idea is on a piece of paper, you can easily visualize how it works rather than just thinking about how it will work. It also helps you to jot down different ways a user can flow through the application. Wireframes act as the blueprint for product development. More importantly it helps the development shop to break down the requirement into user stories. User stories represent the different features of your product. They serve as guidelines to product development. Exhaustive wireframes will help the development shop to break down the requirements into user stories. At Cybrilla, we write the user stories and put them into a project management tool like Redmine or Pivotal Tracker. We assign a priority to each story and estimate them individually. This helps the client to breakdown the budget and assign it amongst the must-have and good-to-have features. You need to be a good project manager, since good project management is the major difference between finishing a project within the estimated time and spending more money on additional features. Right from product requirement to delivery participate in each and every step. You can help chart out the test cases which the developers need to validate post development. As a client it is necessary to stay actively involved in each and every step. At Cybrilla we make use of many tools and follow agile development process. Take time to adopt these tools so that you remain an active participant. These tools help you to keep track of the development progress. Make sure that you are part of weekly sprint meetings where in your prioritize the weekly user stories which will be picked up by the devs. So, the next time you are planning on outsourcing your product development, follow these steps and be amazed to see how far your budget will go. Take initiative to extensively wireframe your product, scope your product and actively participate in the development process. Immediately after having many sleep less nights because of the recently discovered Heartbleed bug, The Linux Foundation has come up with the “Core Infrastructure Initiative (CII)” to raise money to fund critical open source projects. Companies like Facebook, Google, Amazon any few others have already come forward to support this initiative. Many others are expected to join this group. There are lot of critical open source projects like OpenSSL, which every company uses, but lack the needed financial support. I was shocked to hear that an important project like OpenSSL receives only around $2000 annually in donations and there is no developer who works full time on this. To avoid the next Heartbleed, more than money, these open source projects need dedicated developers and testers working full time. Hopefully CII will raise enough money to support all the critical OSS projects and fund the development. If you consume a lot of open source projects and have deep pockets, feel free to donate for this noble cause. 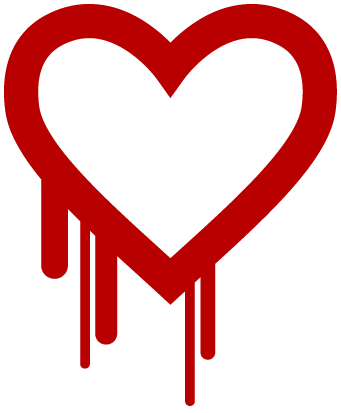 Let me know your thoughts on avoiding the next Heartbleed in the comments below. If you haven’t heard of the Heartbleed bug, I have explained it in detail in another post. If you are a sys admin or a web master or an internet entrepreneur owning a website, you probably know about the recently discovered bug in the popular open source library Open SSL. For people who do not know about it, let me put it in simple words. Very recently, on 7th April, 2014, a serious vulnerability has been discovered in Open SSL library (a popular open source library used for secure access to websites & servers on the Internet. It is used by Google, Yahoo, Amazon and almost all popular websites on the Internet). This vulnerability allows a hacker to steal private certificates, user passwords and sensitive data from your website or server. It is a serious bug registered under CVE system as CVE-2014-0160. Heartbleed is a security bug in the open-source OpenSSL cryptography library, widely used to implement the Internet’s Transport Layer Security (TLS) protocol. A fixed version of OpenSSL was released on April 7, 2014, at the same time as Heartbleed was publicly disclosed. At that time, some 17 percent (around half a million) of the Internet’s secure web servers certified by trusted authorities were believed to be vulnerable to the attack, allowing theft of the servers’ private keys and users’ session cookies and passwords. We managed to test all our clients applications and servers if they are affected by this bug before there is any serious damage. Thanks to Vijay and his team for quickly identifying and acting on this. If you are a geek and love digging deep, read this unofficial guide which explains the vulnerability in detail. If you are stuck fixing this bug on your servers or want to check if you are affected, we’ll be happy to help you. Get in touch to talk to our server security expert.